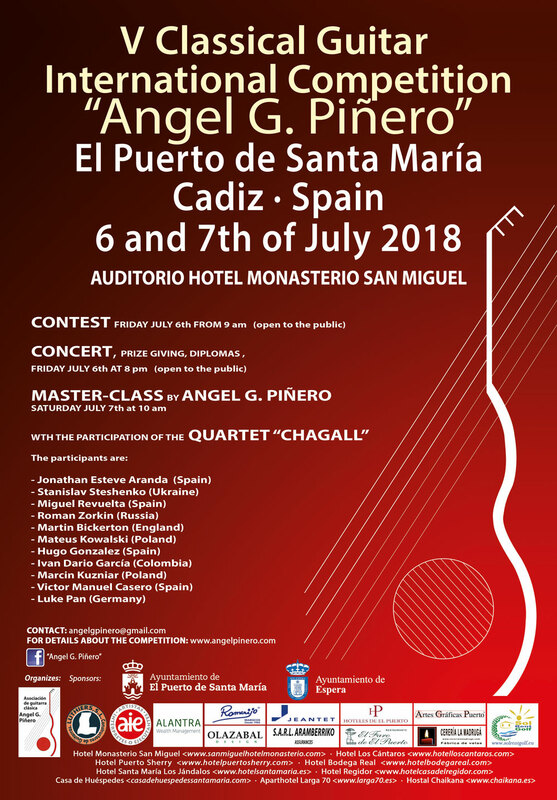 Ángel G. Piñero is a composer and concert performer (although he no longer offers concerts) of classical Spanish guitar born in Cádiz that causes admiration of different audiences for his great faculty (unique in the history of music), of playing this instrument with both hands. 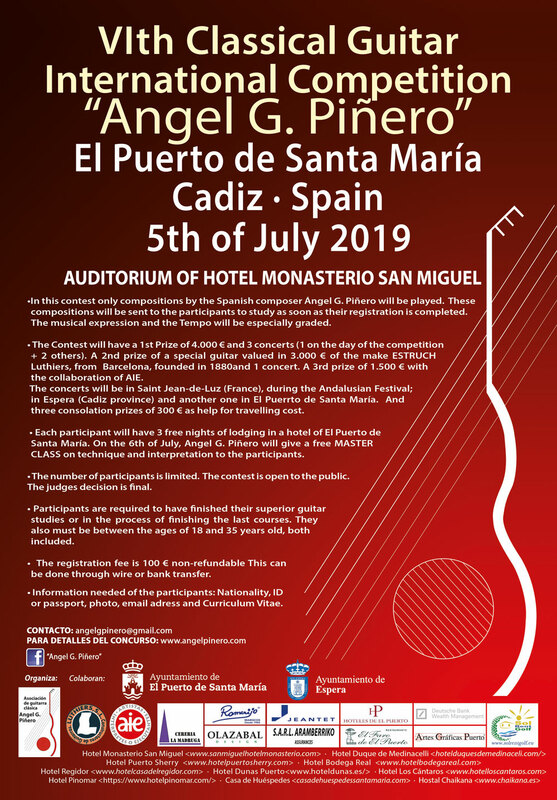 This opens new horizons for the study of the instrument and is the only concertist in the history of the Spanish classical guitar that achieves the two sonorities giving each of them the place that corresponds to the general repertoire of music. 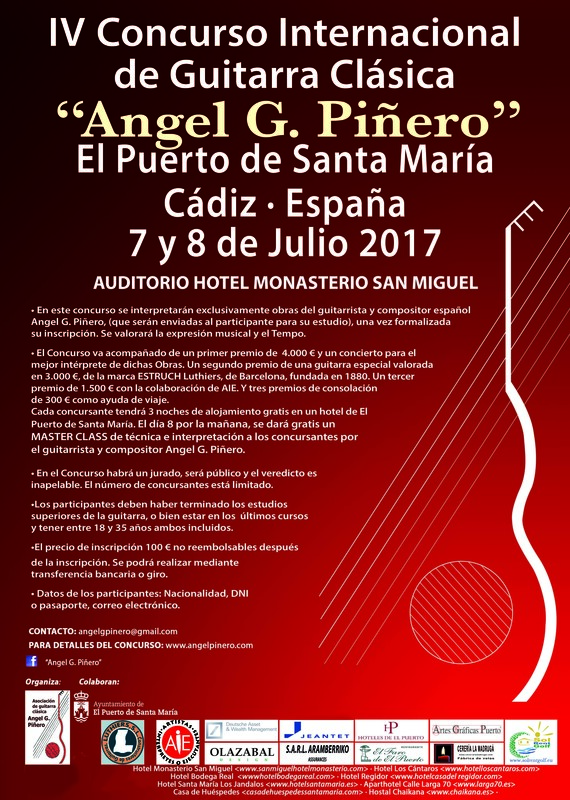 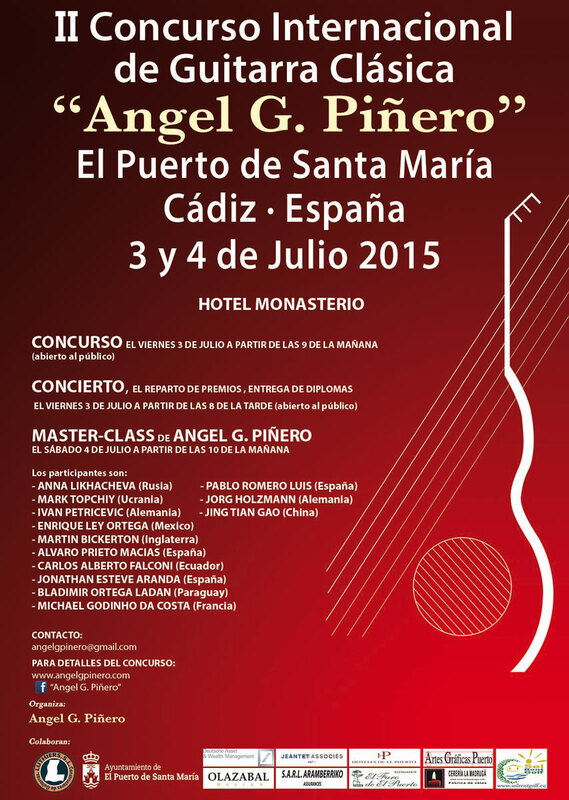 Angel G. Piñero as well as composer of works and promoter of Spanish guitar methods, has had as main dedication the concertist, with a long career, since he has given several hundred concerts of classical Spanish guitar in Spain, Europe and U.S.A. At the moment he dedicates his time to the composition and mainly to promote the Spanish Classical Guitar through his foundation with the accomplishment of the International Contest and the one to offer his work in concerts. 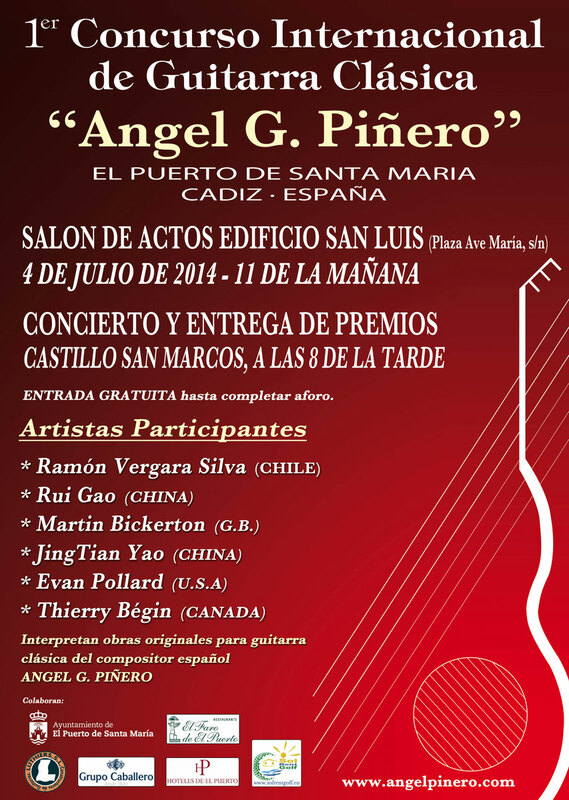 In his concerts, he has always caused the admiration of different audiences by indistinctly playing the Spanish classical guitar with his right hand and with his left hand, offering different sonorities (the yolk or the nail), according to the characteristic of the work and its time. 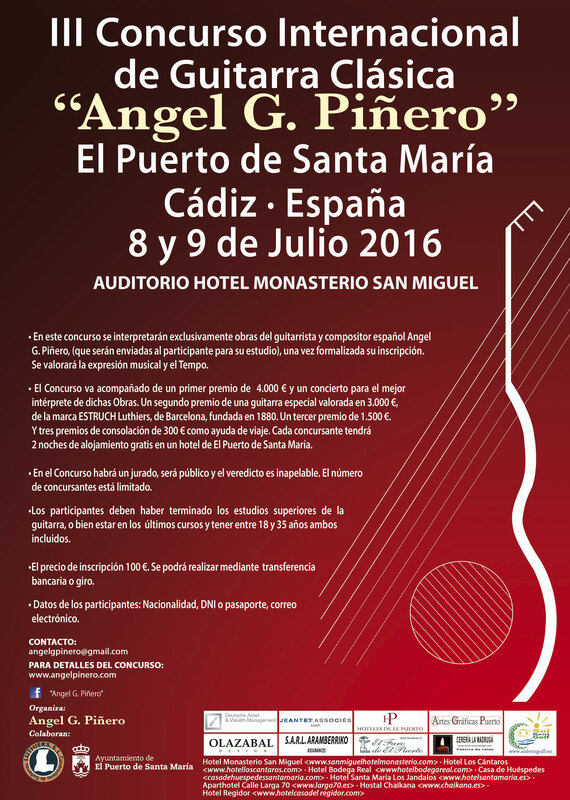 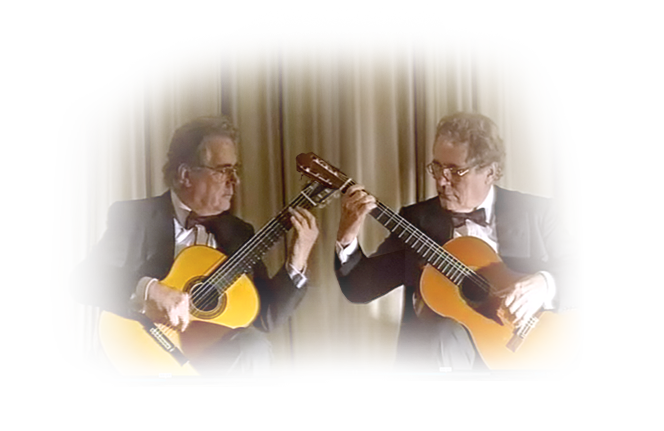 Ángel G. Piñero, key figure in the development of Spanish guitar teaching methods, has become the only concertist in the history of the Spanish classical guitar that offers in a single concert the two schools, the bud cultivated among others by Francisco Tárrega and the nail, equally cultivated among others by Andrés Segovia.